The NIU Art Museum opens a major exhibition suite this spring that explores the exuberance and glamour of the Art Deco period with two full exhibitions and two smaller studies. 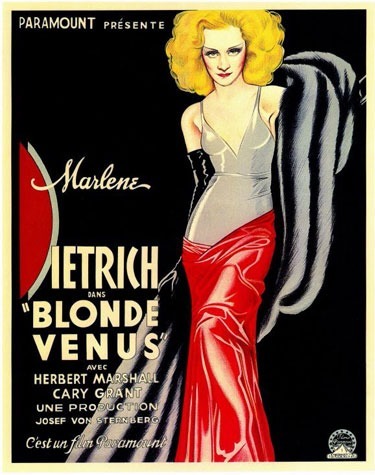 “Between the Wars: Contrasts, Parallels, Shifts and Patterns” and “Beyond Gatsby: Common Luxury in American Art Deco chart the stylistic expressions and transitions that occur in American Art Deco style alongside “The Chicagoan: a Periodical of the Era” and “Deco and Art Moderne Architecture in Illinois,” two studies presenting elements unique to Chicago and Illinois from the era between the wars. furniture, jewelry, fashionable dresses and hats, posters, prints, magazines and advertisements, as well as architectural examples all highlighting the varied stylistic ways America adopted and adapted the movement over the course of its popularity. The exhibitions run from Thursday, April 7, through Friday, May 20, with a series of public lectures, programs and film screenings related to the shows. A reception hosted by the Office of the President will celebrate the exhibitions’ opening and new student work in the presidential office galleries from 5 to 7 p.m. Thursday, April 7, in Altgeld Hall. During the reception, help the university welcome back to campus previous NIU First Lady Barbara Cole Peters, guest co-curator of “Between the Wars.” Join Mrs. Peters and Dr. John Peters for her public remarks on “Art Deco and Women’s Fashion” at 6:15 p.m. Thursday, April 7, during the public reception. Visitors to the reception can enjoy access to current NIU President Doug Baker’s office galleries located on Altgeld Hall’s third floor to view the student-curated work now on display. 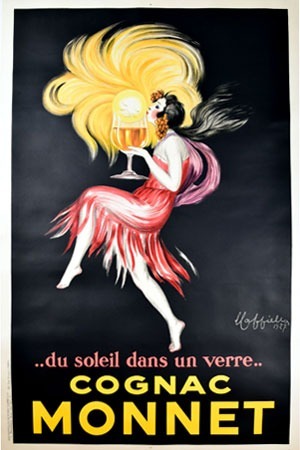 “Between the Wars” explores the stylistic motivations, technical innovations and social transitions during the period as expressed through vintage selections of advertising posters, illustrations, and women’s fashion. Mrs. Peters previously guest-curated the NIU Art Museum exhibitions “Autumn Leaves: a Century of Fall Fashion” in 2010; “Some Enchanted Evening: 100 Years of Evening Gowns” in 2007; and “Little Black Dress,” also in 2007 at the former Nehring Gallery in DeKalb. 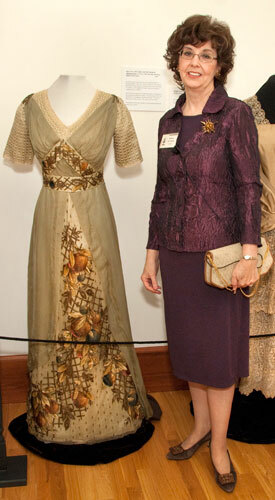 Mrs. Peters generously loaned several dresses from her personal fashion collection to the exhibition. “Beyond Gatsby: Common Luxury in American Art Deco” demonstrates how Art Deco styling permeated every aspect of American life, from household objects to magazine ads, from furniture and jewelry to Chicago’s 1933 World’s Fair. “Gatsby” is curated by graduate students in the NIU Certificate in Museum Studies, designed to prepare students for careers in museums, archives and other institutions that work with artistic, cultural and historical materials through study and practice of curatorial skills. The certificate is jointly administered by the colleges of Education; Liberal Arts and Sciences; and Visual and Performing Arts. 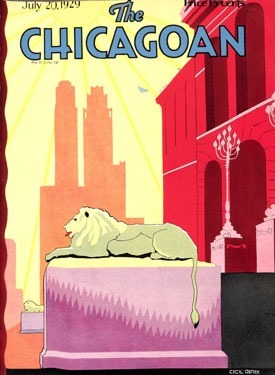 “The Chicagoan: a Periodical of the Era” includes commentary on samplings from an urbane lifestyle magazine that proclaimed – and reinforced – Chicago’s cultural import from 1926 to 1935. Finally, “Deco and Art Moderne Architecture in Illinois” focuses on local landmarks curated by graduate students in the NIU Certificate in Museum Studies. Lenders include several private collectors; the Barbara Cole Peters Fashion Collection; the Bartlett History Museum; the Blackwell Museum of Educational History at NIU; the Chicago Center for The Print; the Elgin History Museum; the Geneva History Museum; the Koehnline Museum of Art at Oakton Community College in Des Plaines; the Midway Village Museum in Rockford; the Regional History Center and University Archives at NIU; the St. Charles History Museum; and the White Rock Collection in Elgin. Two NIU School of Art and Design graduate students, Corey Stout and Kelsea Nichols, currently serve as curators for the presidential galleries. Stout and Nichols, with the guidance of studio faculty member Jessica Labatte, are responsible for selecting and hanging student artwork for display in President Baker’s office and home. Student artists now on display in the office include NIU illustration and graphic design students: Sarah Brazeau, Haley Gottardo, Karl Gustafson, Kimberly Kuba, Katie Lavery, Kayla Schlipf, Joe Tallman and Griffin Thorne. More information about the exhibitions, events and educational programs at the NIU Art Museum, many of which are free and open to the public, is available online. For questions, or to register for events, call (815) 753-1936 or email shenn1@niu.edu. Thursday, April 7, 5 to 7 p.m.
Thursday, April 7, 6:15 to 6:30 p.m.
Wednesday, April 13, 5 to 6 p.m.
Wednesday, April 20, 5 to 5:50 p.m.
Monday, April 25, 6 to 7:30 p.m.
Wednesday, April 27, 10 a.m. to 5:30 p.m.
Chicago Architecture Foundation Tour and Lunch at Ceres Café. Payment and Registration by Friday, April 8. Limit 15 people. NIU Art Museum members, $45; non-member adult, $60; non-member student/senior, $55. Saturday, May 7, noon to 6 p.m.
Open Late! Extended Hours for ARTIGRAS! Thursday, May 12, 12:10 to 12:50 p.m.
Tuesday, May 17, 12:10 to 12:50 p.m.
Thursday, May 19, 8 a.m. to 5 p.m. Architectural landmarks in Elgin, St. Charles, Geneva and Aurora including tour of the Paramount Theatre. Payment and Registration by Thursday, April 28. NIU Art Museum member, $30; non-member adult, $45; non-member student/senior $40. Join us on this four night trip to Detroit’s Art Deco Destinations. Early-bird discount payment and registration due by Friday, April 8. Space is limited. Call (815) 753-1936 for full details and pricing. The NIU Art Museum contributes to the university’s educational curriculum and provides opportunities for art education and cultural enrichment throughout the community. The Museum serves to educate, preserve, exhibit and enlighten by balancing the challenges of contemporary art with the riches of traditional media for a comprehensive examination of visual culture. The exhibitions and programs of the NIU Art Museum are sponsored in part by the Illinois Arts Council Agency; the Friends of the NIU Art Museum; and the Dean’s Circle of the College of Visual and Performing Arts, NIU Foundation. Gallery hours are 10 a.m. to 5 p.m. Tuesday through Friday and noon to 4 p.m. Saturday or by appointment for group tours. Exhibitions are open to the public and admission is FREE, but donations are always appreciated. The NIU Art Museum is located on the first floor, west end of Altgeld Hall, located on the corner of College Avenue and Castle Drives on the DeKalb campus. Parking is available in the Carroll Avenue Visitor’s Pay Lot; handicapped and metered spots in front of Altgeld Hall; and during public receptions and programs in Lot 3 northeast of Gilbert Drive and College Avenue. Campus parking is free on weekends and after 7 p.m. weeknights.